Cup Cake Auction! 18th November. We’re doing it again! Please join us in supporting It’s Good 2 Give! 18th November 10am – 12 noon at Centotre. Lots of amazing items and Loads of yummy cup cakes!! 4 tickets to the panto with signed programme and meet the cast after. A ladies day out with the fire service! 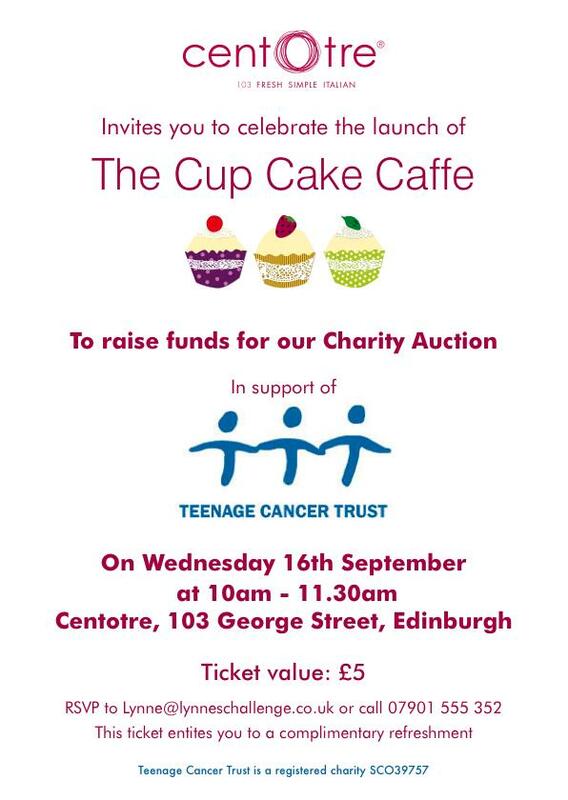 Cup Cake Caffe supports Teenage Cancer Trust. Come to the launch of the Cup Cake Caffe, and do your bit for charity as well as your waistline.